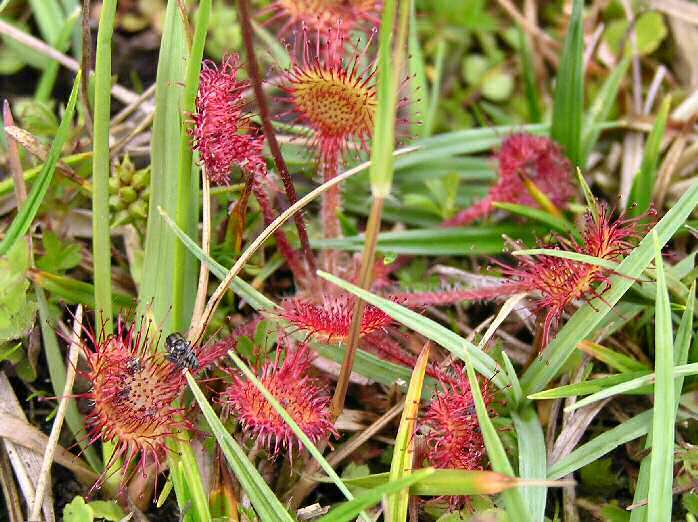 This is a plant of boggy heaths and moors and is usually found on peat soils which is why we found a profusion on them growing in a Dartmoor bog. It overcomes the nutrient lacking environment by catching and digesting insects such as ants, beetles, damselflies, midges and wasps. 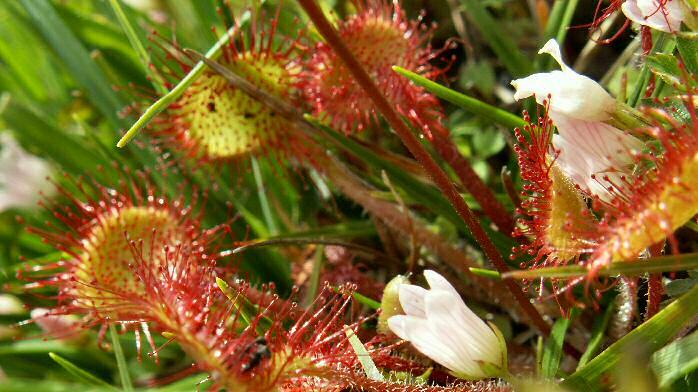 Easily recognisable with its rosette of reddish leaves; each leaf is covered in long hairs each of which is covered in a sticky liquid which acts as a lure for insects. Once an insect takes the bait and settles on a leaf it becomes stuck, the hairs bend over and enclose the prey suffocating it in the liquid. In a few hours the plant digests its victim through its leaves using acids and enzymes; each leaf can only be used three times in this fashion by the plant before the leaf dies. Traditionally the liquid has been used as a cure for warts and corns.